Being located around the world, our team of tech enthusiasts relies on accessible storage. Small NAS solutions are an excellent way of storing files and streaming media throughout the home and office and we've tested numerous models. 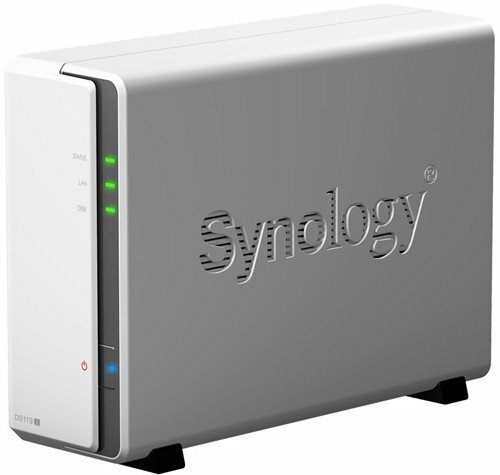 The Synology DS218+ is the company's mainstream NAS for home and small offices. Packing a capable Intel processor, two drive bays, and excellent support for third-party services like Plex, it's a NAS that offers excellent value. Synology's DS218+ is a pricey NAS that fails to come with any hard drives, but the product is a joy to use if you're planning on swapping storage frequently. It houses upgradable RAM, a 64-bit Intel processor, as well as the excellent DSM OS. You should purchase the Synology DS218+ if you're looking for an affordable NAS that can scale to cope with a large family or small office. Not only will you be able to keep backups and important documents safe, but also enjoy some media thanks to Plex support. It can handle movie and music streaming, surveillance recording and much more. Is it a good time to buy this NAS? Synology regularly releases a new model depending on the year, available upgrades from Intel, and how many models have already been rolled out. The DS218+ is from 2018 and makes it a worthwhile purchase. Picking one up now will not leave you feeling left out when a new model is eventually released. Synology's DS218+ is an ideal option for those who don't have vast amounts of PC-building experience to fall back on. Powered by a competent dual-core Intel Celeron J3355 (2.0GHz) and 2GB DDR3L (6GB max) RAM, the DS216+ by Synology is not only a well-designed black box, but it is also a capable streaming machine for the home. The system supports H.264 (AVC), H.265 (HEVC), MPEG-2 and VC-1 at a maximum resolution of 4K (4096x2160, 30 frames per second). This device will certainly put that shiny new 50-inch 4K TV to good use. Its hot-swappable drive tray design allows for easy installation and maintenance, destroying the requirement for a screwdriver to remove or install a hard drive. Simply pull out, swap, re-insert, and you're good to go. Two hard drive bays are joined by USB 3.0 and eSATA ports. This product does not come with any hard drives, but there are some great options available like the Western Digital RED NAS 3TB hard drive. Throw two of these beasts into the NAS to enjoy an instantaneous 3TB worth of storage using RAID for redundancy. As a bonus, the unit comes packed with advanced features to allow for secure cloud storage and file synchronization. Popular services like Dropbox and Google Drive can be connected. Overall, this is a great, well-rounded package. The DS218+ isn't for everyone. If you only want to store a few files or need more bays for vast amounts of data, there are plenty of other options out there. We've rounded up a few recommendations to get you started. The TS-251+ is a similar NAS to the Synology DS218+ in many ways, including the Intel processor, available RAM, drive bays, and support for popular services. There are a few differences, including a media remote and IR receiver. While the NAS isn't powerful enough to transcode and stream 4K content, it's more than capable of handling most tasks you'd likely perform on the server. 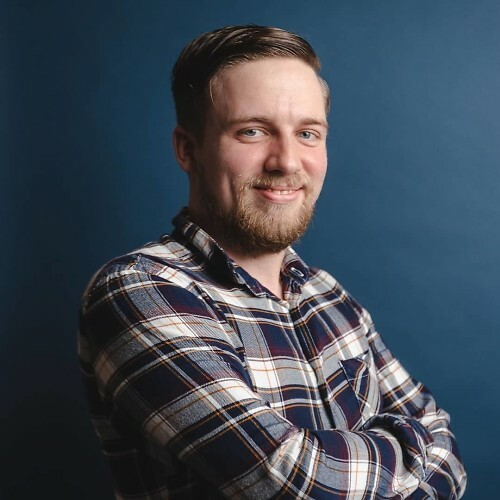 Support is offered for external services and platforms, and QNAP also makes it possible for multiple isolated Linux systems to run. The new DS119j is Synology's affordable budget NAS, rocking a single drive bay, energy-efficient ARM CPU, and RAM that can't be upgraded. If you seek a basic NAS that can handle file storage and lighter services, this is a great option. Instead of including a more expensive Intel processor, Synology opted for the Marvell Armada 3700 88F3720 CPU, which is perfectly fine for efficient NAS operation, but may struggle when you want to do more demanding tasks. In fact, as of right now, Plex isn't supported, but what the DS119j does well is offering exceptional value. The DS1618+ is a serious NAS that allows you to install up to six hard drives for ridiculous amounts of storage space. It's also backed by Synology's excellent DSM software and comes with numerous plug-ins for external service support. Do you require more than two bays? Most homeowners don't, which is where the exceptionally good DS218+ comes into play. Those who have an office at home, or work in one for a company will no doubt require more storage space, and this is when numerous drive bays make sense. The Synology DS218+ is an excellent piece of kit, allowing you to effortlessly set up a home NAS, regardless as to which model you choose. But it's not the best option for everyone, which is where our other options come in. A superb mid-range NAS that offers excellent value. Synology's DS218+ is a pricey NAS that fails to come with any hard drives, but the product is a joy to use if you are planning on swapping storage frequently. It houses upgradable RAM, 64-bit Intel processor, as well as the excellent DSM OS.